I have heard a lot recently about young people lacking identity. I have heard a lot recently about radicalisation of kids that are looking for identity. There are scholarly articles explaining the social and cultural problems in our society and lots of psychoanalytic articles explain the why and wherefore. But, are they supposed to ‘fit’? I am talking about ordinary folk. When I was a lad I never felt part of society, in fact I didn’t want to be part of it. I was a Greaser, or if you prefer a Rocker as were all my friends. The enemy was the Skinhead. Later I became a Ted and the enemy became the Suedehead. Each group was united by fashion and music. We had our leather jackets, t-shirt, black drainpipe jeans and crepes or creepers (shoes). 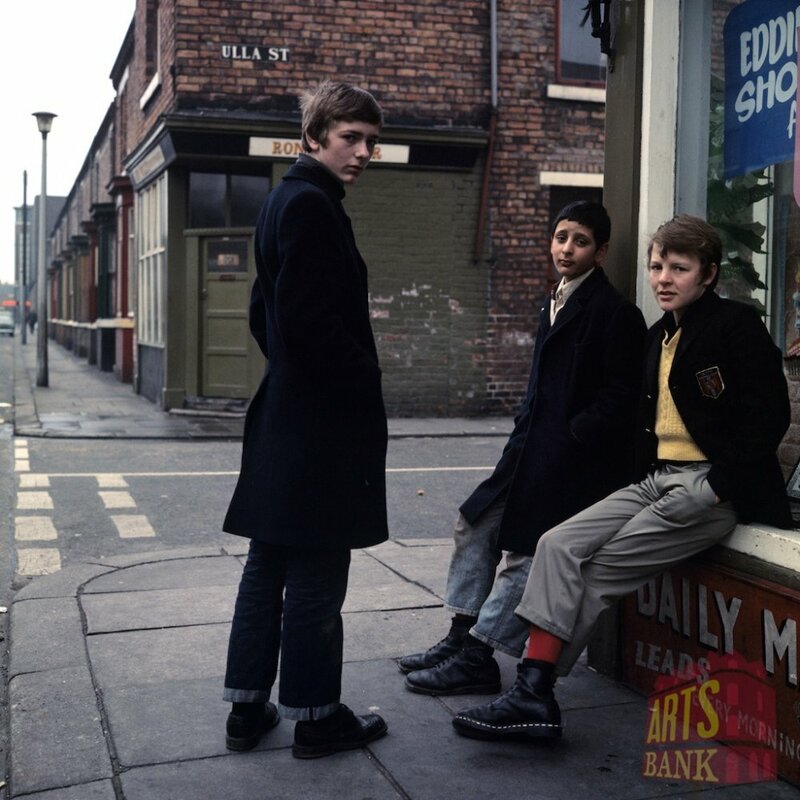 They had their Ben Sherman shirts with braces, Harrington Jackets, Levi’s and of course the Doc Martin Boots. We loved Rock’n’roll and they loved Reggae, Two tone and Ska. This entry was posted in Democracy, Freedom, History, Humour, Life, Opinion, people and tagged Charlie Robinson, democracy, freedom, Humour, Interest, Life, Opinion, People. Bookmark the permalink. 18 Responses to What Happened to Identity? Interesting comment, thank you. I think the music has quite a bit to do with it. There is no tribal music anymore and no strong fashion statements. 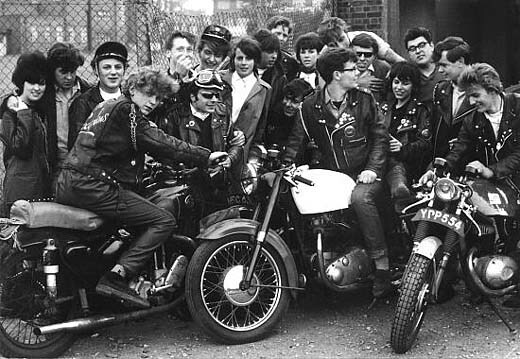 The 50’s R’n’R singers wore leather jackets or drape suits. The ‘mod’ singers of the 60’s wore the fashion of the day, had beehives etc. The glam rockers wore sparkle and make up which progressed to the New Romantics. and on it went.When Brit Pop emerged then the bands went out of their way to wear their own clothes, such as Oasis, Blur and Pulp etc. The ‘image’ disappeared The youth have been disenfranchised in a way as musicians just wear whatever they feel like wearing, so there is no one to copy.Plus the music is not strong enough to be different enough (does that make sense?) There are no anthems. But I guess they only have doh.re, me far so, la,te and doh. to work from 😉 You have a point with the tattooing though that is a kind of tribalism. LOL. I see a lot of kids with their hats on weird and their pants down to their knees. I guess that’s the new rebellious fashion. This is truly, truly brilliance!!! Yes!! I have asked this before many times! We are so homogenized now! Dystopian sci fi seems the rule, being different for articles deriding it. Such a shame and how wonderful that you name it so eloquently. Well done! I watch my grandkids play with cell phones, computers, or other singular activities. Yes, they get to go to sports and music and camp, but nothing holds their attention like screens. They are being ‘socialized’ for isolation. Sad. Maybe they’re smarter at cloaking their identity from old guys like us, Charlie. Or, better yet, maybe they’re not tying it to such obvious things in mass-market ways. Now that would be the sign of an individual rebel. Very interesting comment Mark, like the fact that not having an image is in actual fact an image? My kid’s generation is becoming an entire population of brain dead zombies. Just watch them walking around with their faces plastered to a smart phone screen. It makes me want to scream because I tried, I really did, to bring them up differently. Just how do you sell, thinking for yourself, when letting others, (parents, friends, government, etc.) think for you is so much easier? It’s a problem I have at college everyday. Schools have a tendency to spoon feed them. I give them paper for notes and they need a pen. Then they ask me what to write. If i tell them to turn to a certain chapter they ask me what page. In this country young people are still living at home into their mid 20s because they want to buy. I was living in a bedsit at 17. As for the phones I won’t even go there ha. Thanks for the comment and the follow, but I don’t seem able to follow back? I think you are already following my blog. My thoughts exactly, very well written! On top of that we don’t have much to listen to either! Where are the new bands we can identify with? Charisma and individuality are dying as well… maybe these are the signs that we facing our end as humans!! Lol Very boring times we are living since mid 90’s.